Welcome to the Hong Kong Air Cadet Corps (HKACC) Homepage. 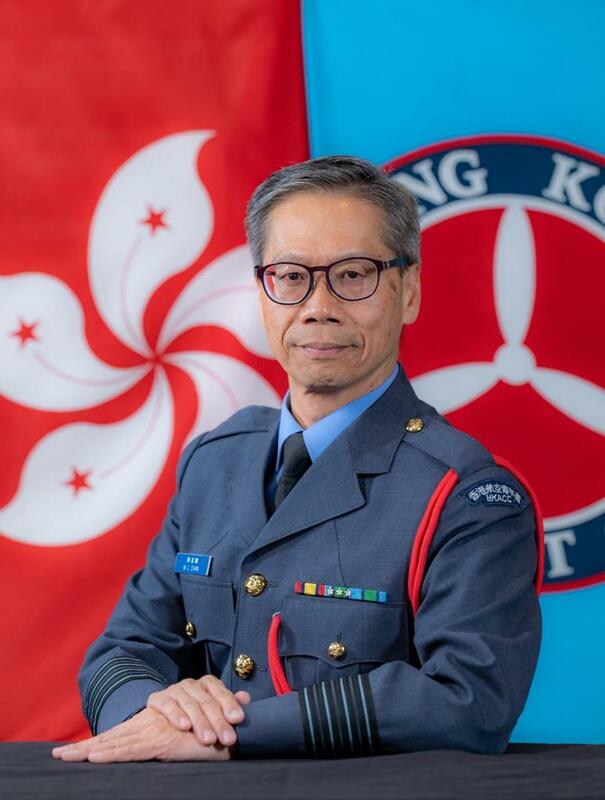 The Corps is one of the 11 government funded uniformed groups in the Hong Kong Special Administrative Region (HKSAR), People's Republic of China. Our dual mission is to provide aviation education to young people of Hong Kong; and to empower them to become outstanding leaders and responsible citizens through a progressive syllabus of disciplined training, mainland/overseas exchanges, and community services. HKACC has been nurturing manpower resources for the local aviation industry since 1971. Throughout the years, by offering quality aviation education programmes and activities supported by the local aviation industry, we are a stepping stone for young people who pursue aviation either as a career or as a hobby. We also provide non-formal education and leadership development programmes to our members. Such programmes embody physical fitness exercises and expedition activities to enhance personal and holistic development of young people. Most newly joined adult members undergo a syllabus accredited by the UK Institute of Leadership and Management (ILM) to equip them with the necessary skills and knowledge for fulfilling their supervisory role at unit level. Through accumulating the requisite service experience and completing certain written assignment projects, the opportunity is there for adult volunteers to gain vocational qualifications offered by the City and Guilds, UK. People in the aviation field are always passionate, dynamic, and are usually more inclined to work as a team and take a broader view. I have full confidence that through the hard work of all colleagues and cadets, the Corps will continue to high quality aviation education and leadership development programmes to advance our next generation to a brighter future. On behalf of the Corps, I invite you to visit this homepage often to learn about our latest activities, developments and events.